BANGLADESH. Dhaka. 2010. A child navigates the unstable grounds of the slum of Beribadh. 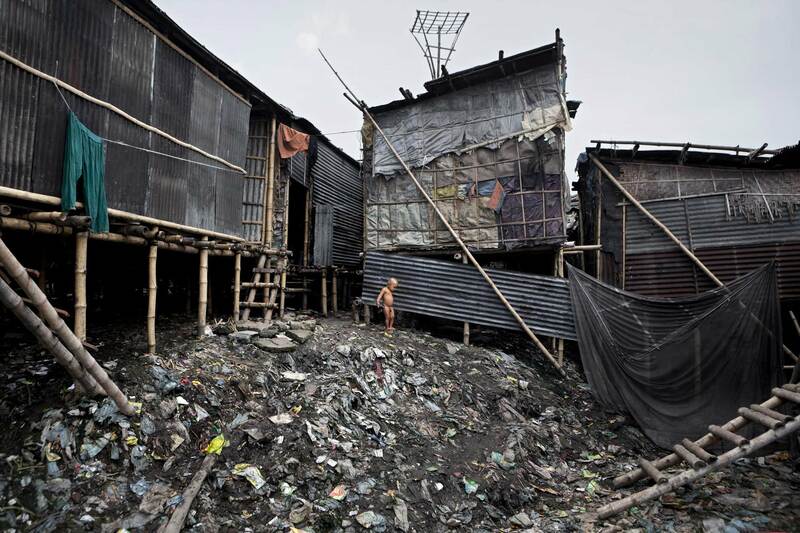 Environmental migrants make up a big portion of the slums of Bangladesh’s main cities.